Parents often have a vision of how the first few years of their child’s life will go – filled with the traditional milestones of rolling over, walking, and saying their first word. But what happens when things don’t go as planned? You may have received a diagnosis in utero or soon after birth that your child has a health issue with the potential for developmental issues, or you may not know why your child isn’t keeping up with his peers. Either way, looking into your state’s early intervention program to get your child appropriate therapies is essential. Early intervention programs were established under the Individuals with Disabilities Education Act for children under the age of 3. The Center on the Developing Child at Harvard University states that years of research show the importance of intervening early in life. The developing brain is more flexible and better able to create new neural circuits for cognitive, motor, and language skills. In turn, the need for special education and institutionalization decreases when children are older, which subsequently decreases the economic burden on families and the government, and helps kids become viable and contributing adults. 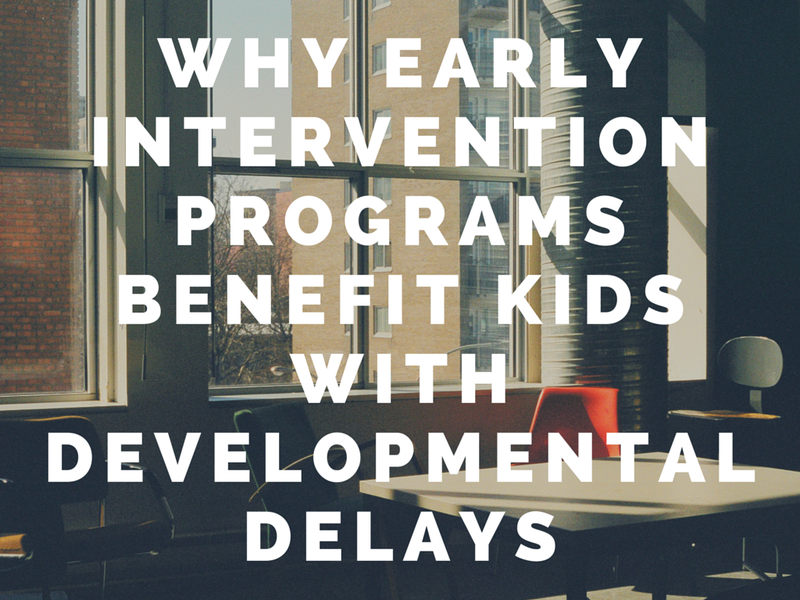 Although early intervention is federally mandated, each state is responsible for implementation of the program. Programs are typically run by the state department of health or education and names vary. Florida’s program is called Early Steps, Georgia’s is Babies Can’t Wait, California has Early Start, and Tennessee calls their program the Tennessee Early Intervention System (TEIS). Your pediatrician or school might be able to point you in the right direction, but performing a search online with both the name of your state and early intervention should suffice. Guidelines vary in different states but the initial assessment should be free. If your child qualifies, services may be free in some places and typically your insurance company will be billed. If you don’t have insurance, you’re billed on a sliding scale based on your income at a far cheaper rate than most private therapy. Your child can receive a variety of services depending on their needs. Physical and occupational therapists work with children who have gross and fine motor delays, and they devise strategies for children who are struggling with sitting, walking, or holding and using objects such as a pencil. Speech therapists work on skills such as sign language, turn-taking, and the use of communication devices. Special instructors work with children on appropriate play and engaging with others. Services are usually provided in the home so parents and caregivers can learn the techniques to carry out the strategies in the absence of a therapist. Experiences can vary based on location. Some families report having their needs met quickly and easily, while others have expressed concern about wait lists when their area did not have enough providers in a certain discipline. It is okay to supplement with private therapy, but be sure to coordinate with early intervention providers as they may be unable to provide duplicate services you are receiving elsewhere. When your child ages out of the program, the local school district takes over and is required to offer services or placement in a special needs preschool. You will transition from an Individual Family Service Plan (IFSP) to an Individualized Education Plan (IEP). Your service coordinator should assist you through the transition and help set up the transition meeting, testing, and IEP meeting with your school district if you opt to pursue that route. The first three years of your child’s life are a vital time for learning. Babies are taking in the sights, sounds, and smells of their environments, and toddlers are exploring everything they can touch. If a disability is impeding that education, early intervention can help fill in the gaps and teach key skills.